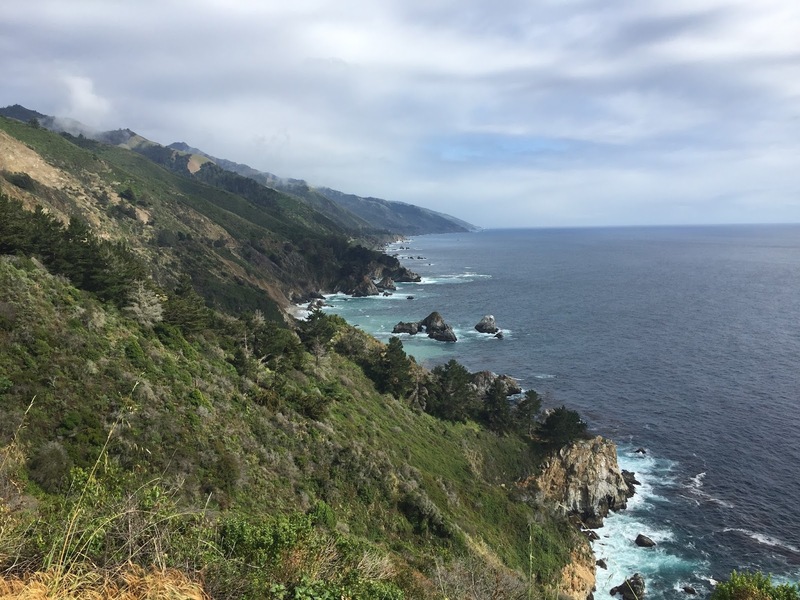 In 2016 I lost 20lbs and ran my bucketlist marathon in Big Sur on the California Coast. 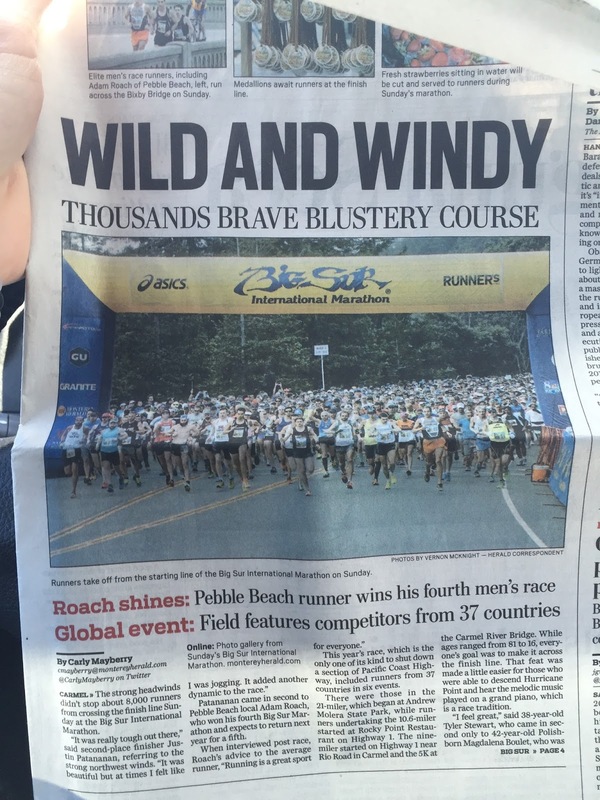 Here is my recap about the vacation and run! Part 1: Before the marathon. 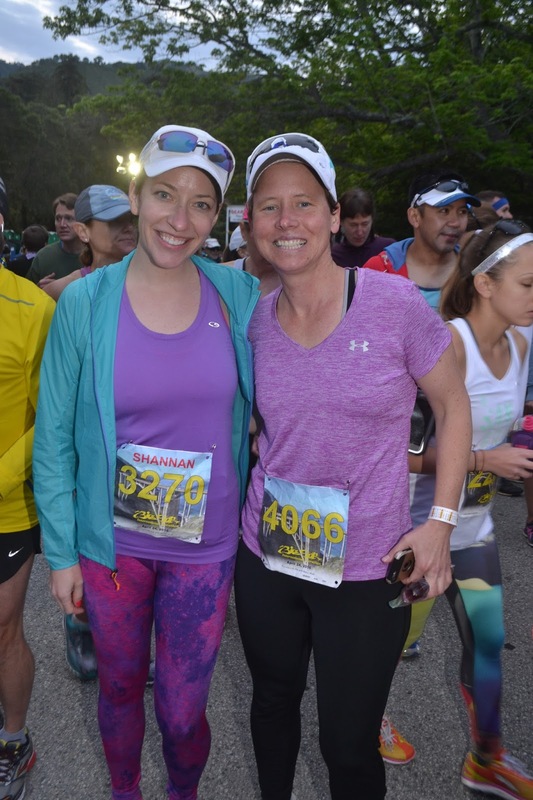 Marathon training is a __________. I’ll let you fill in the blank with your own word. Mine aren’t exactly appropriate, but you probably already could guess that! Plus, I’ll explain more later…. Years ago, when in elementary school, I read the fabled story about the genesis of the marathon. “After the battle, legend has it that the Greek messenger Pheidippides ran from the battlefield at Marathon to Athens in order to relay news of the victory. He only said, “We were victorious!” and collapsed and died from exhaustion. The run became the inspiration for the Marathon event, introduced at the 1896 Modern Olympics,” reads a summary from http://www.athensmarathon.com/history/. Now, reading a story like this as a child did not inspire me immediately to want to sign up nor train for such a run, but I was intrigued. I always wondered if I could do it. 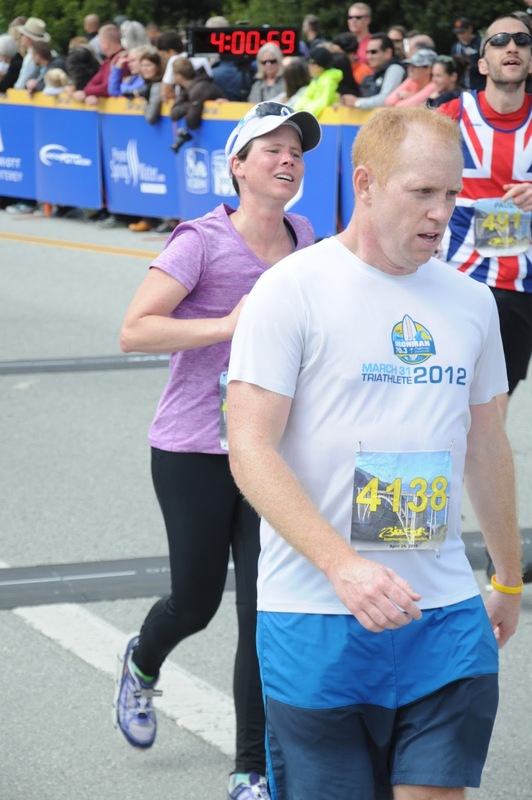 I also wondered if I’d die like the Greek messenger guy at the end of the race I might choose. People do die on marathons, you know! 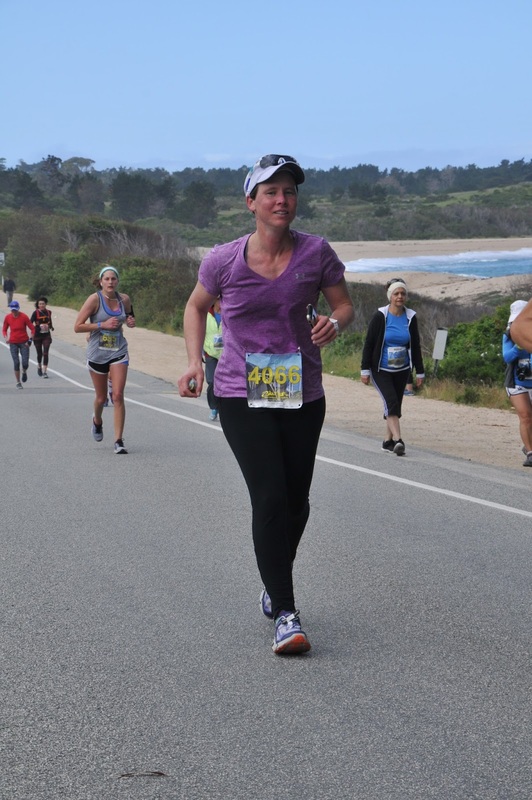 After I graduated from college and quit playing organized sports (basketball, primarily) I gained a lot of weight only to realize the best way for me to counter weight gain was via running. I slowly became addicted to it, even though I was slow. It was relaxing, I loved the runner’s high I got each time, and it kept me skinny (most of the time). And then I packed on some pounds in my 30s. I’m not sure if it was depression, poor eating, or a combo of many things that led me to get up to 158lbs by the winter of 2013. In the spring of 2015, we had a weight loss challenge at school, and I dropped down to 141. 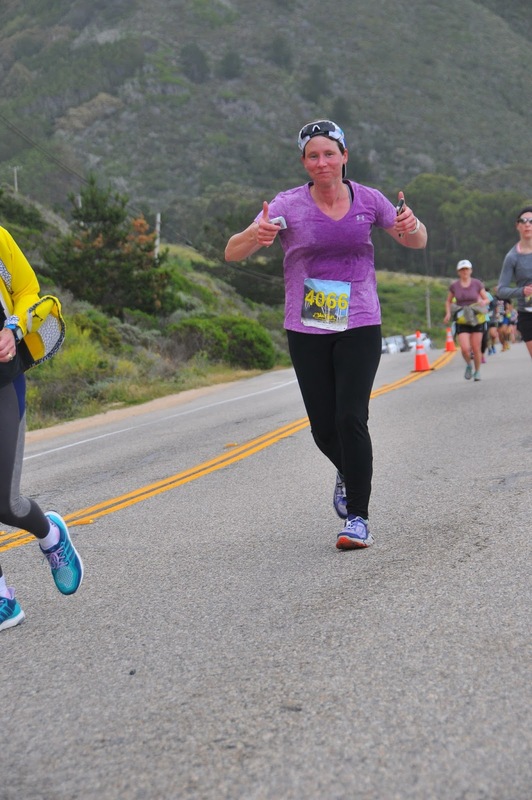 The following fall, fall 2015 I decided I might try to sign up for Big Sur, my bucket list marathon. In the spring of 2016 I realized this was a good idea because I’d gotten down to the skinniest I remember being in my adult years which was around 132-136 (depending on the week). 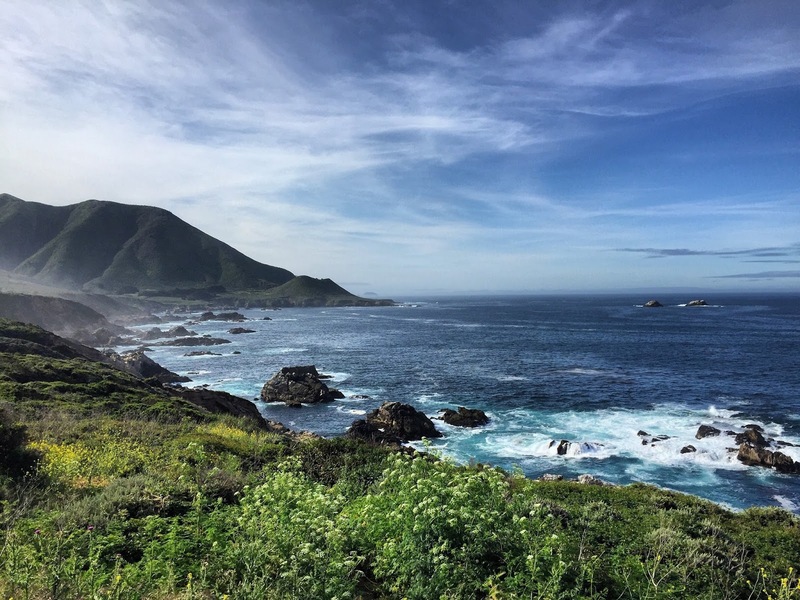 Why Big Sur? 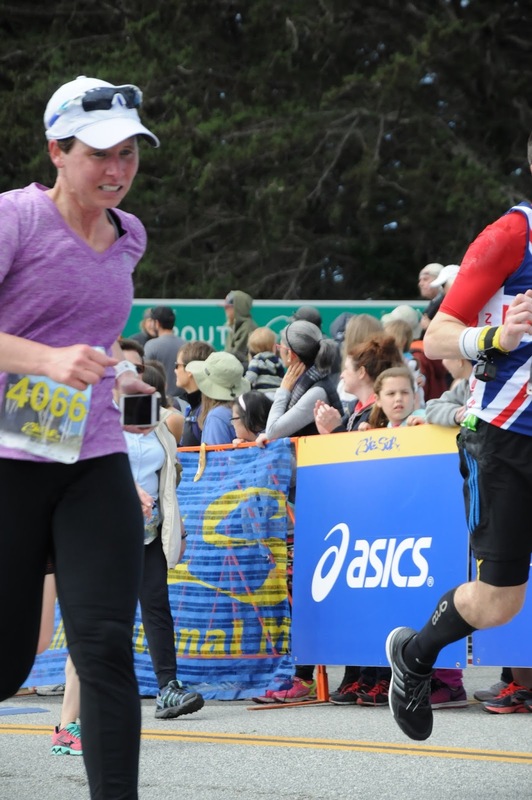 Many running magazines and websites said that if you choose one marathon in your life to run, do this one. After looking at the scenery in person and online, I have to agree! 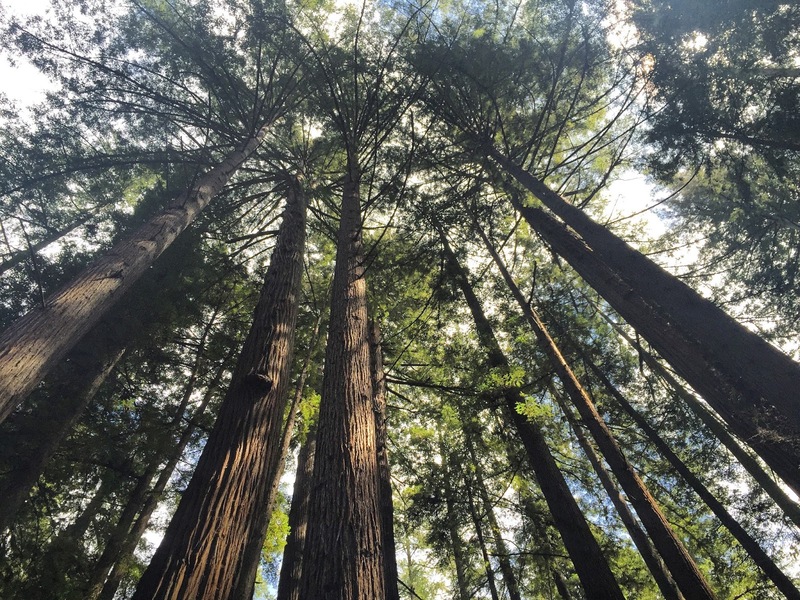 You start in the redwoods, then meander up and down the dramatic ocean coast as the sun rises over the mountains to the east. 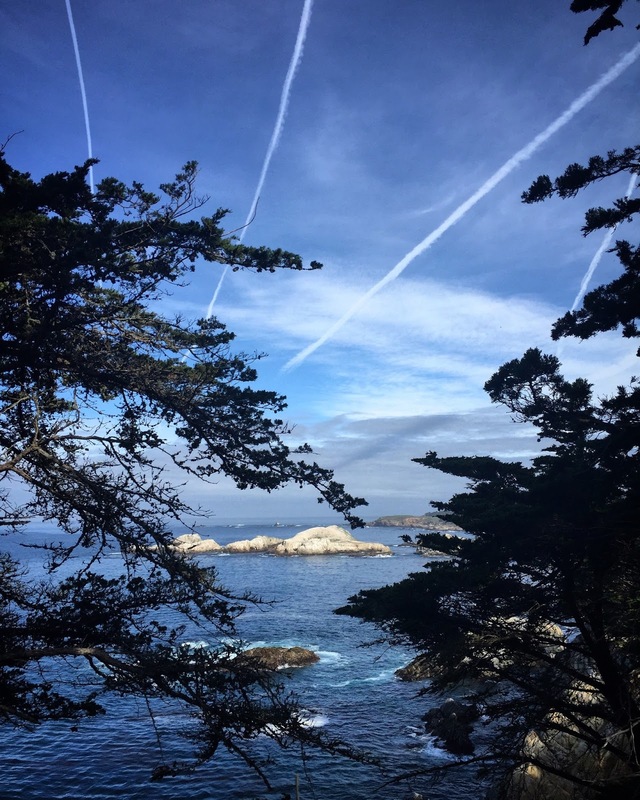 The race starts in Big Sur and ends in Carmel-by-the-Sea. I didn’t get selected in the race lottery, which is the way you best get in, so I got put on a waiting list by asking through a marathon travel company. 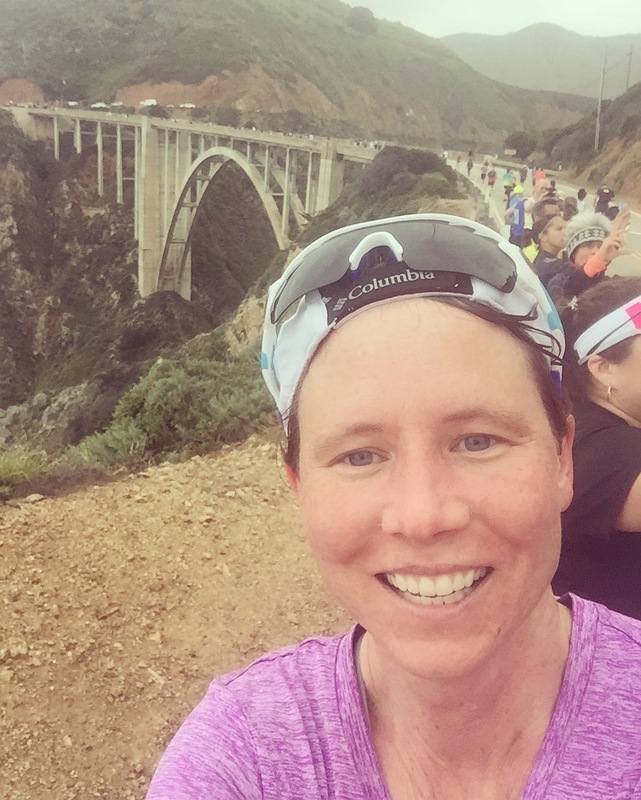 I went ahead and found a training plan and began my regimen even though I wasn’t even sure I’d get in the race (hence that waiting list!). Training began in January, and around Easter I called the travel company folks to see if I’d make it off the waiting list. I did! The four month training was grueling. 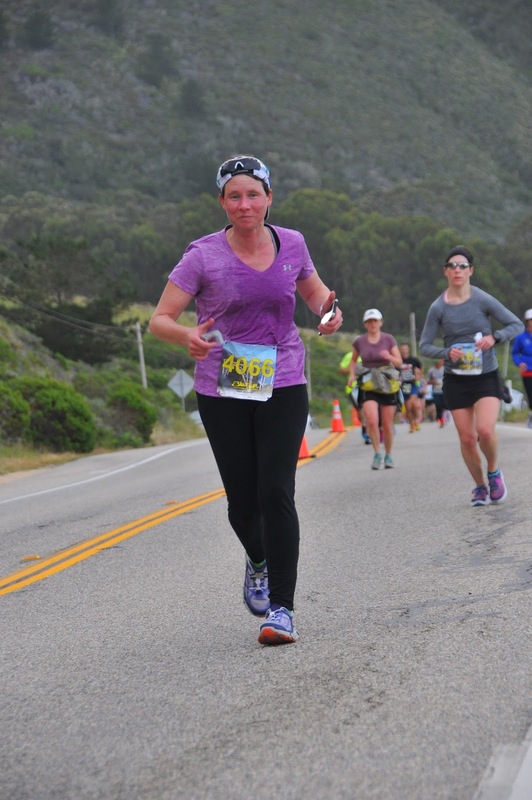 I run almost every day, I know, but this is different than anything I’ve ever done before. 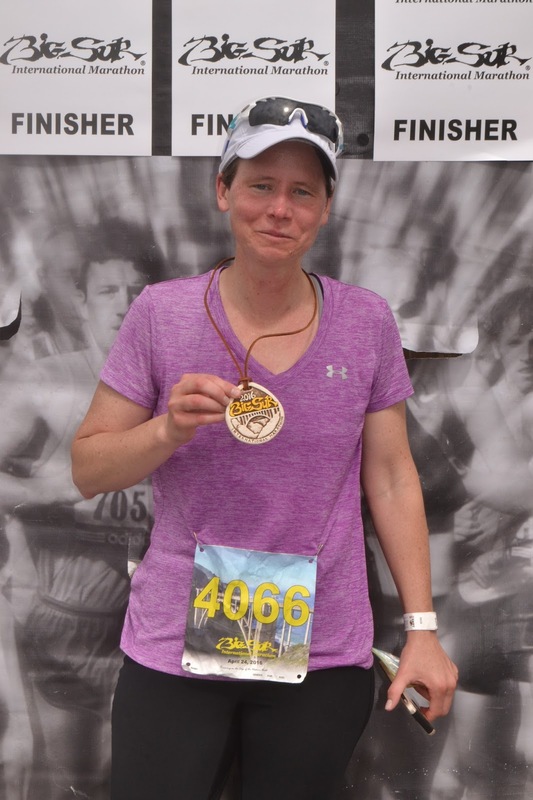 I’d trained for and ran 4-5 half marathons, and even a Tough Mudder no problem. 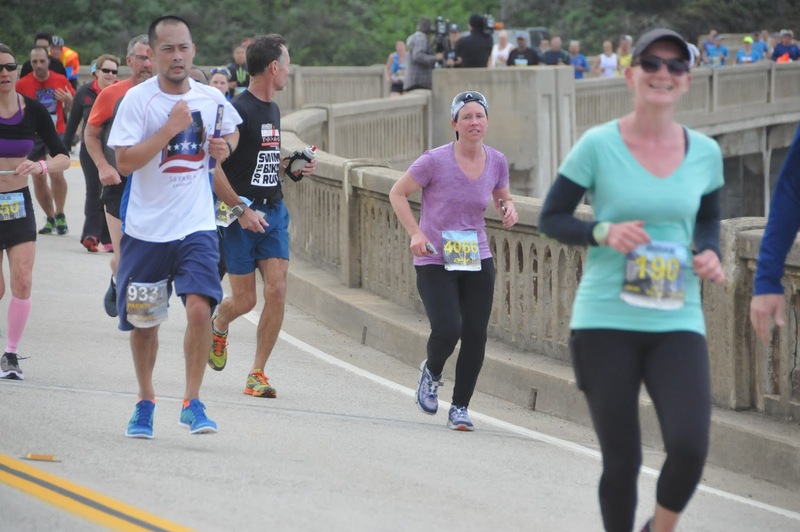 I mean, they were tough with long runs, tempo runs, and sprint training here and there, but nothing prepared me for 16-20 mile, several hour runs you must complete almost every week in the last two months before your marathon. 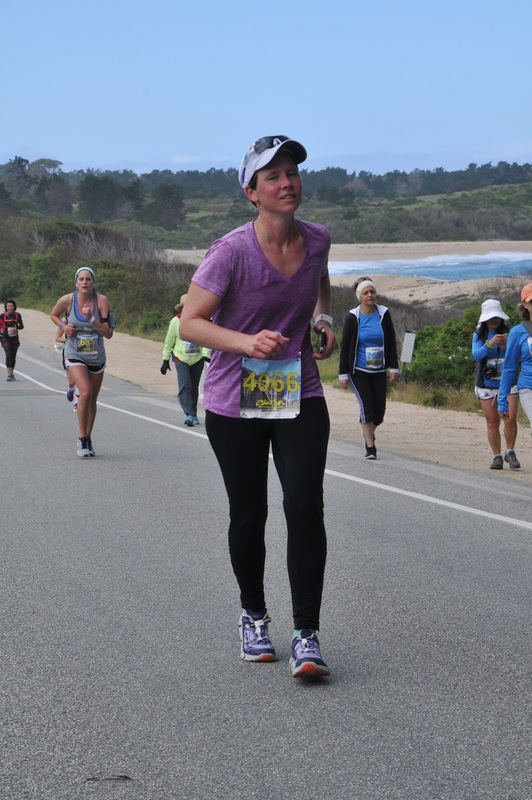 Physically, you have to train your body to get used to fueling (eating and drinking) on the run and figuring out which foods and drinks won’t upset your stomach or put you in the bathroom in the middle of your run. After each long run, I ached usually for a good day or two. 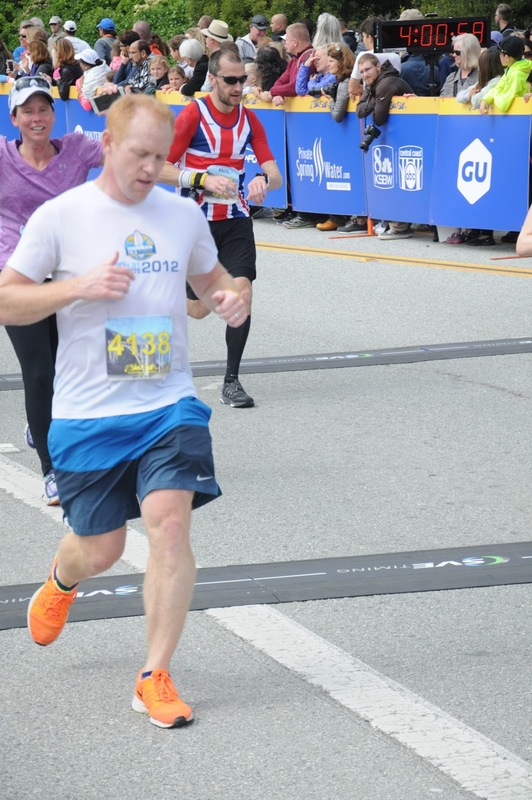 I developed what the sports trainer at school believed to be either tendonitis or a possible hernia in my lower ab and groin area (I probably should go see my doctor about that now that the race is over…). After a lot of googling, it could also be a number of things, all of which are pretty serious. So I had to back off of playing basketball, lifting weights, added in Epsom salt baths after each long run, and added some healthier options into my diet like sweet potatoes. 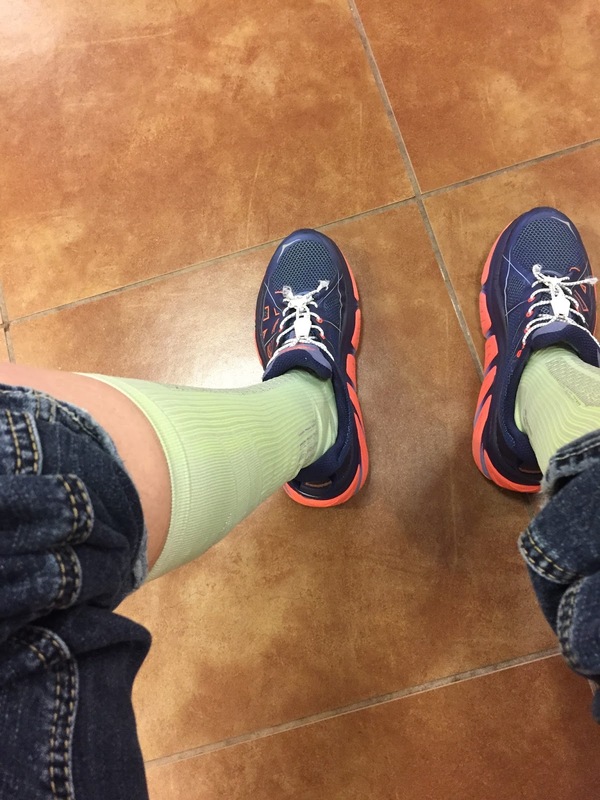 I also developed shin splints and horrible calf pain for a few weeks. Rolling out my calves sent my pain packing quickly, thank goodness. It’s the boredom, mostly, that about put me over the edge, almost as much as the physical pain. 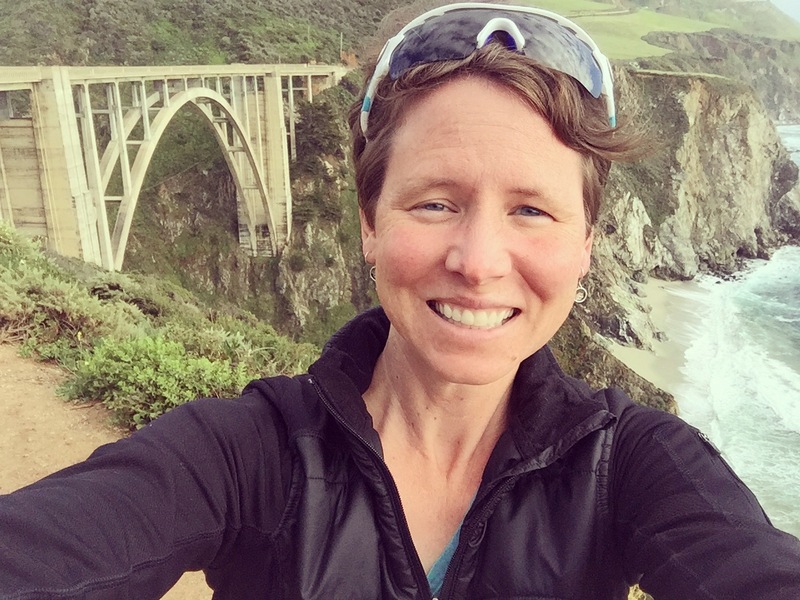 You’re running, and running, and running, which also means you’re thinking, thinking, thinking–which there is nothing wrong with that, but some days it was too much. This mental part exhausted and frustrated me. I have an amazing playlist of upbeat and remixed songs on my phone I listen to that help keep me going, and on one run I listened to around 4 podcasts, but songs and podcasts don’t always cut it, especially over the course of several hours. When I was younger I mowed cemeteries with my dad and had hours upon hours to sit and think and overthink. Long runs have that same effect on my brain. I think and think, and well, thinking isn’t bad, but when you’ve been having a tough week or day, try being 15 miles in or 4 miles in and bursting into tears. Or getting so worked up about something, yes, on the run, then having to stop back by your house to clean the tears off your face and go to the bathroom thanks to nerves. It could be worse, I know. Many people lose toenails while training. I was lucky, I suppose. All my nails are still on my feet. 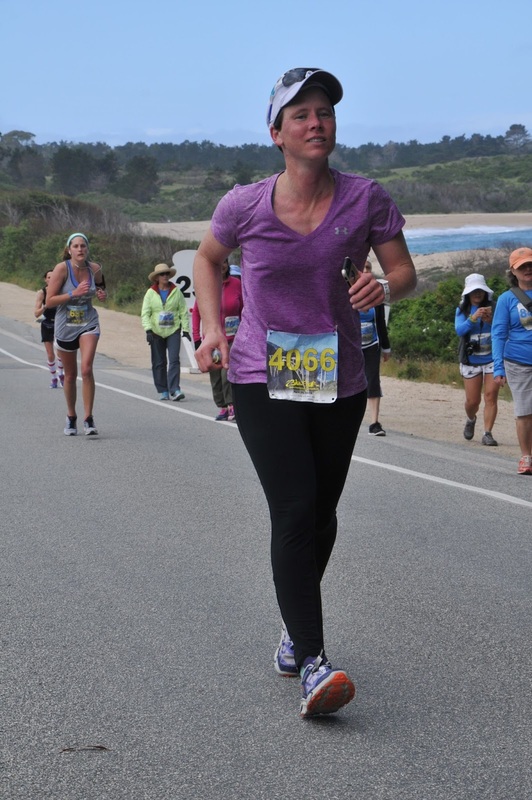 Toenails aside, I went into this race with the hope that I can “beat Oprah” (she ran a 4:30 in her prime). 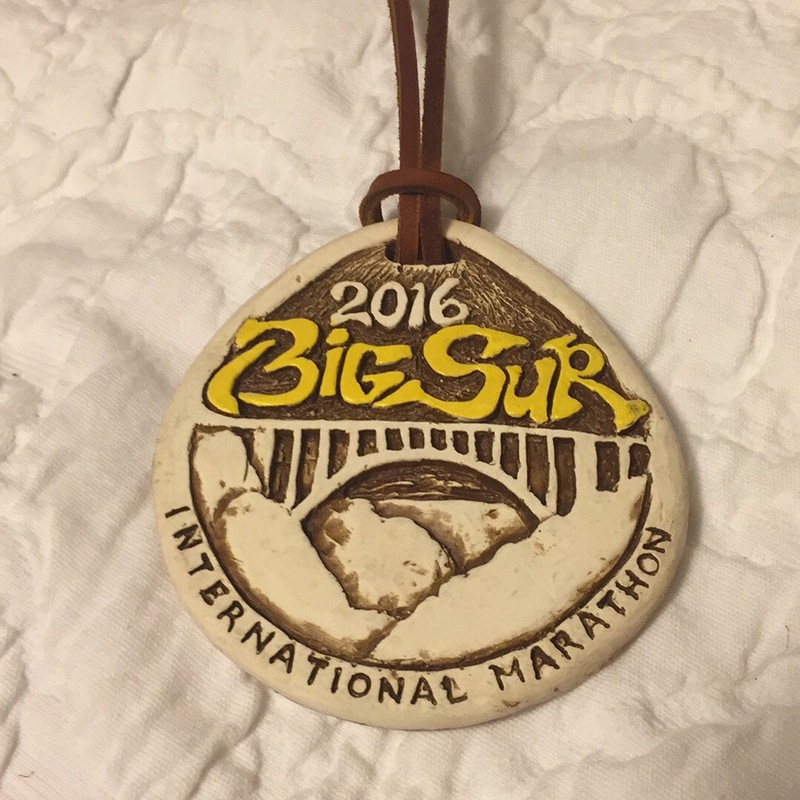 My goal was to finish in 4 hours, but knew Big Sur is a VERY challenging course. (Google it or check out some videos on youtube). My cousin concured we just need to “arrive alive!” She and her dad would be running the race, as well. 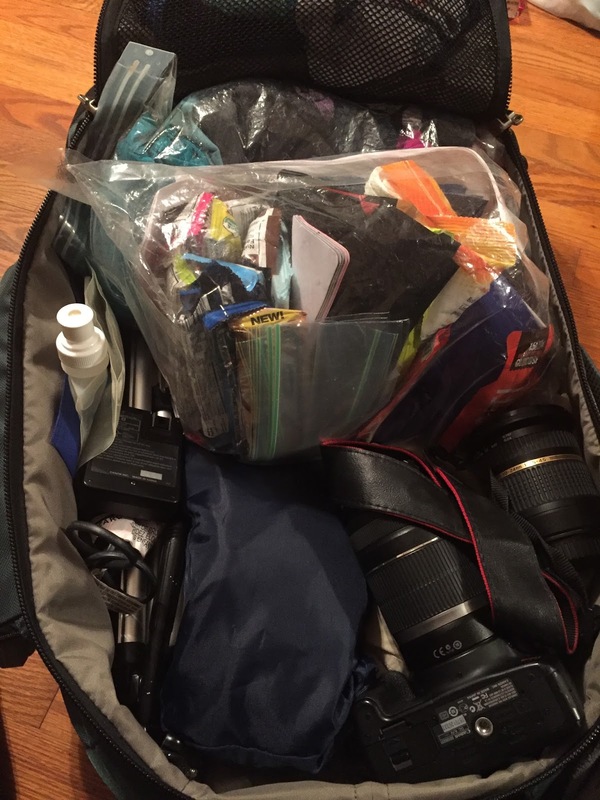 Part 2: A few days before the race. 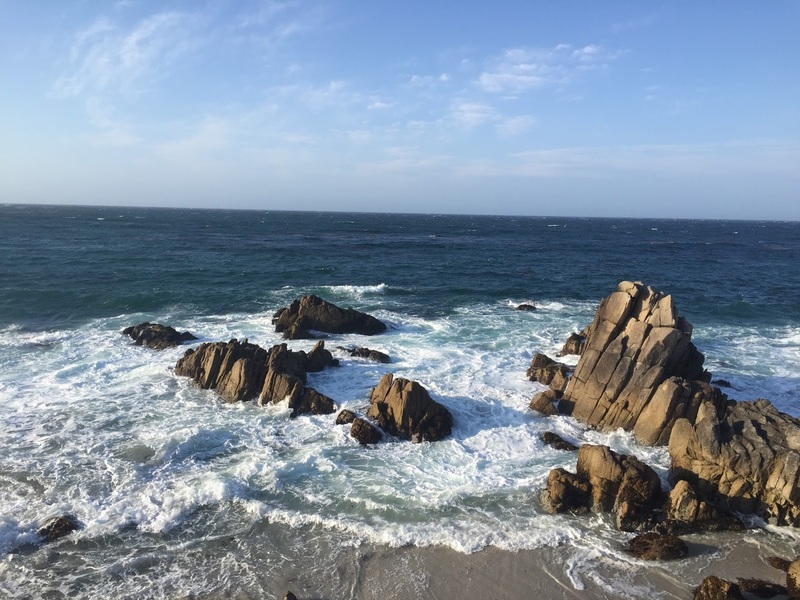 I flew out to Monterey a few days prior to the race to enjoy the scenery, get away for a while from school (I took all three of my personal days), and get rested up in time for the race. Thanks to my cousin, I was able to stay with one of his friends instead of booking a hotel. 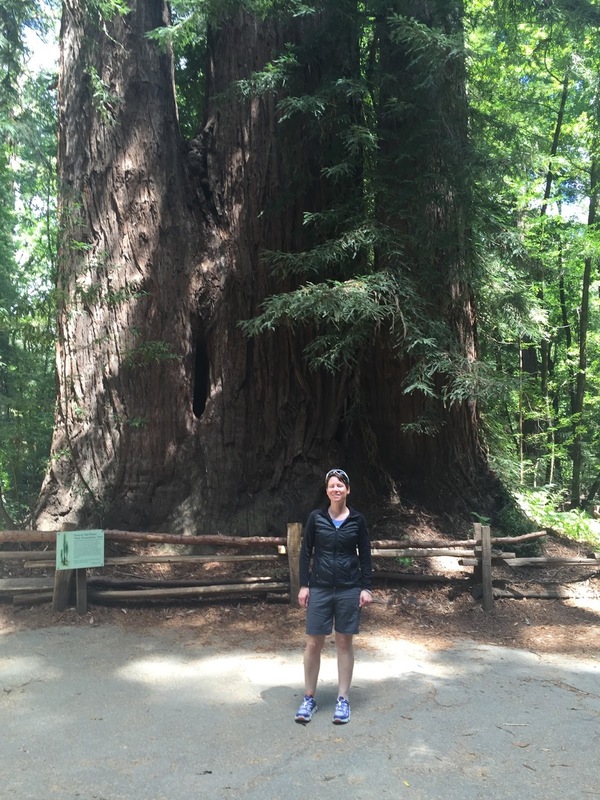 I was able to go surfing, see the redwoods and some other beautiful sites, and eat some amazing food! 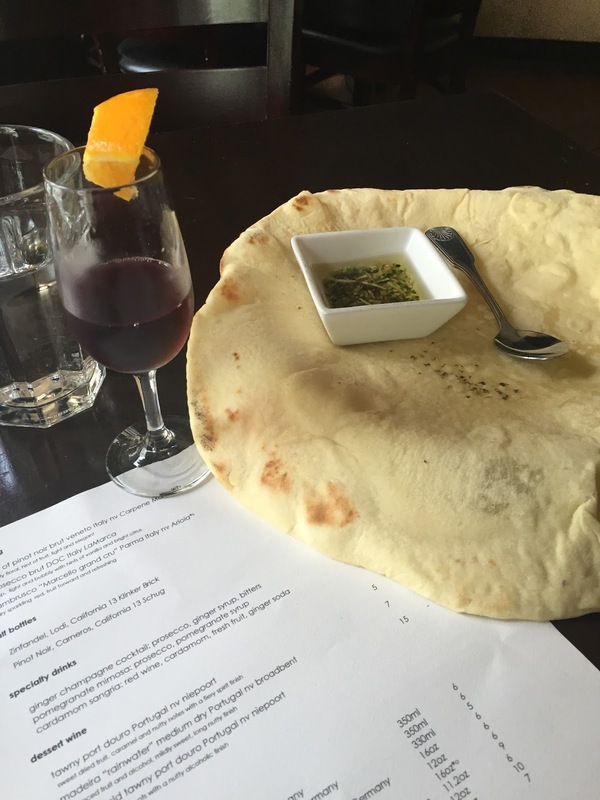 The house naan bread and dipping oil at Laili up in Santa Cruz- wow! 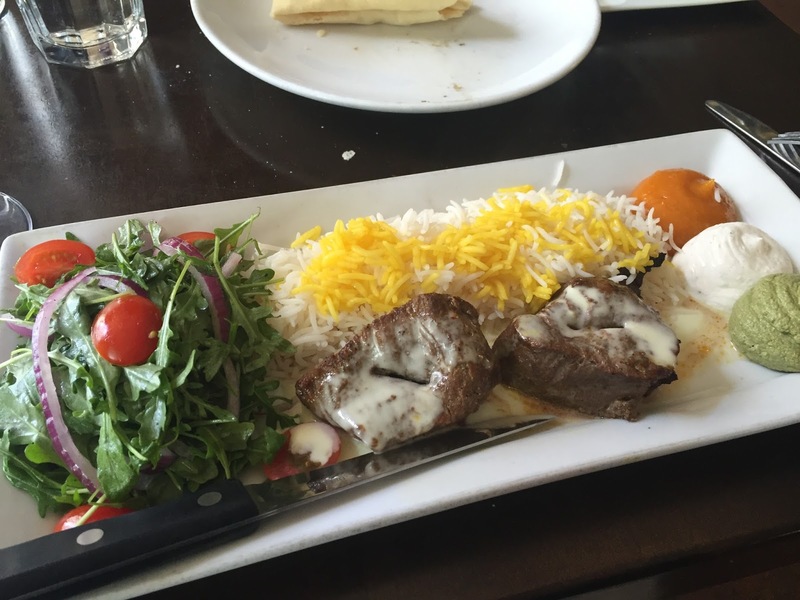 Filet mignon at Laili – the best I’ve ever had! It was a great pre-surfing meal! I didn’t get any photos of me surfing, but got in a good 2 hours. My instructor, David, said I did really well. I got up every time except twice, which is really good. The two times I didn’t get up, I ate the ocean quite heavily. Not good!!! 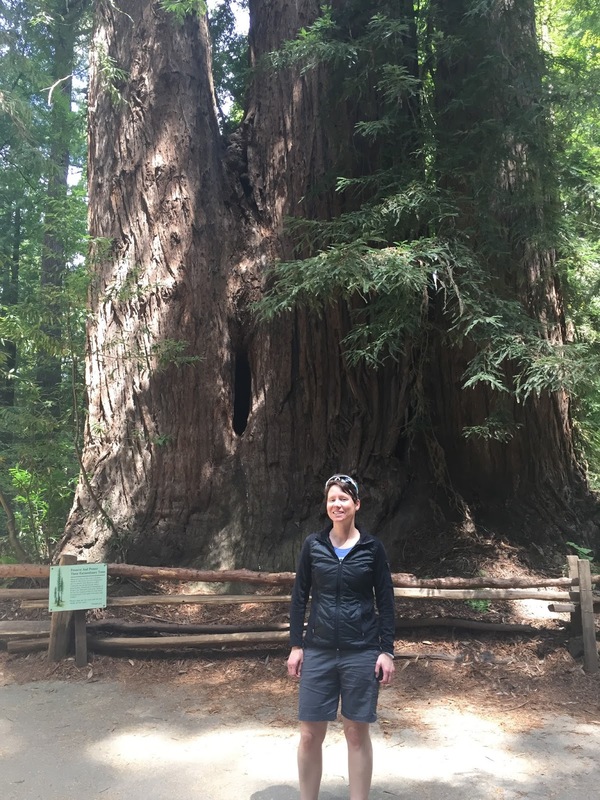 A brisk one mile walk through the redwoods at Henry Cowell Redwoods State Park just outside of Santa Cruz. 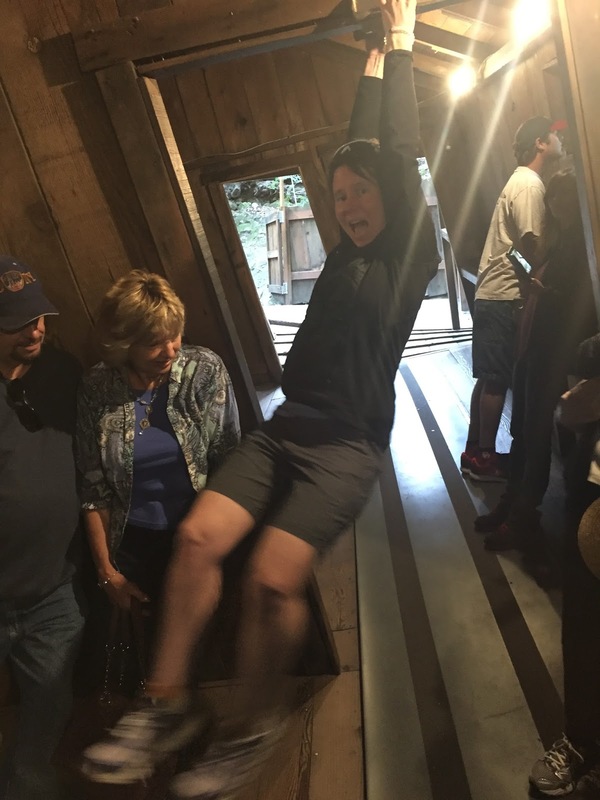 The Mystery Spot – a fun and very interesting gravity defying tourist spot. I recommend the tour! Leaning at 17 degrees without falling. 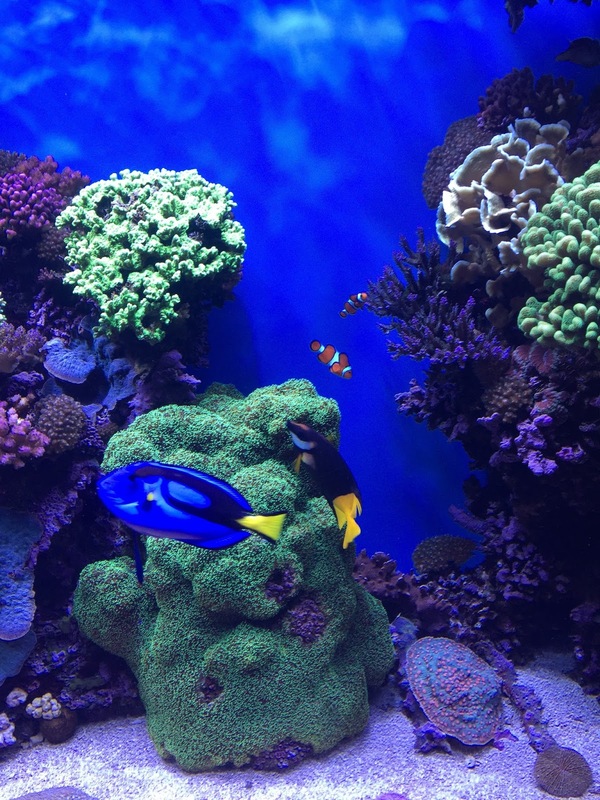 The happiest place in the world is an aquarium. How do I know? Listen to the children! 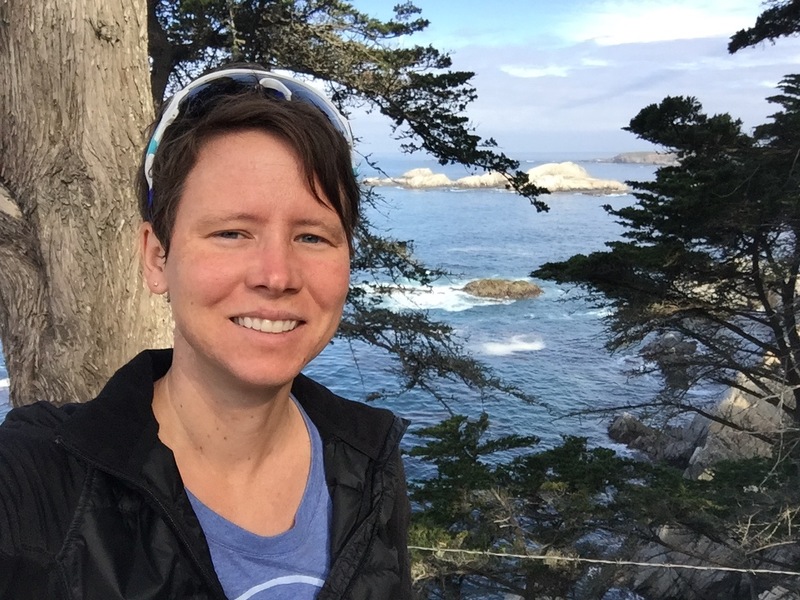 The Monterey Aquarium was expensive, but a nice respite side trip. I spent an hour walking around and viewing the fish and other wildlife. 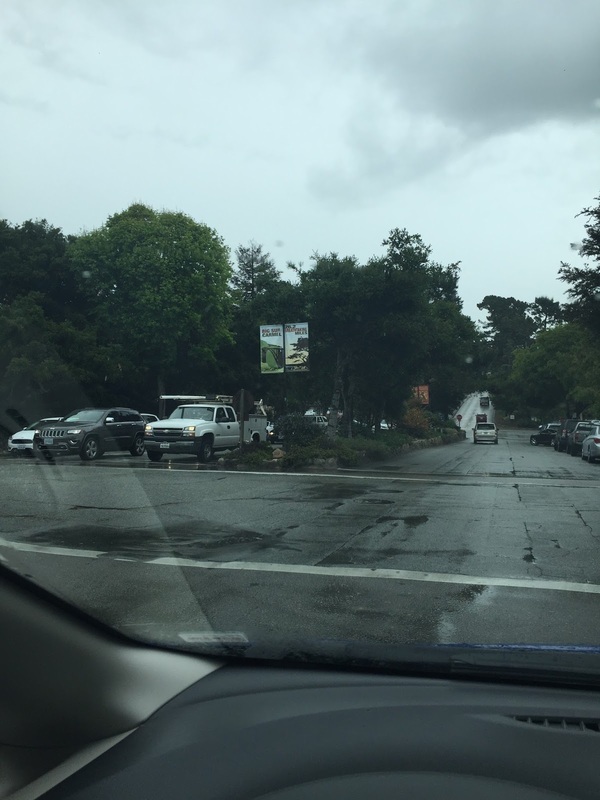 After eating Kebab at a place in Carmel, I saw that everyone here is ready for the race! I loved the signs! 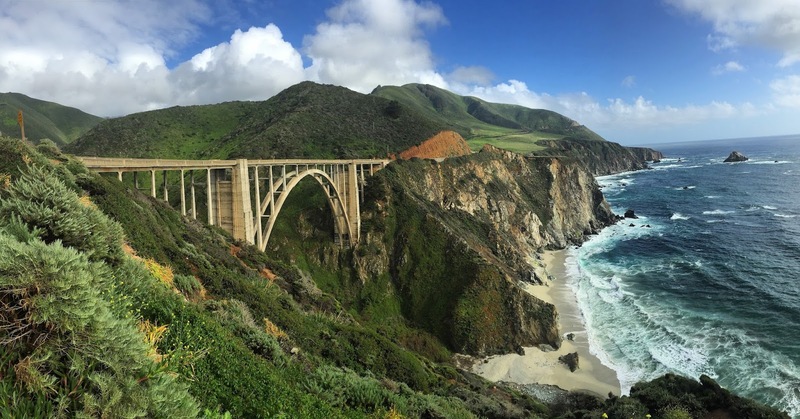 I love this photo I took of the Bixby Bridge. It really looked like this in person! It was the halfway point of the race. 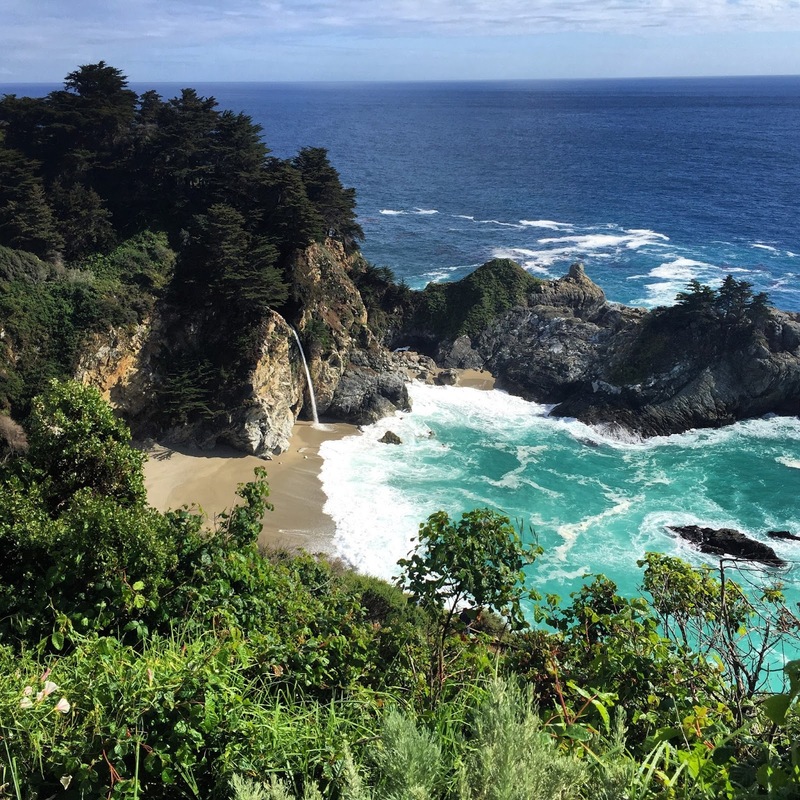 Julia Pfeiffer Burns State Park – I turned around here. Worth the drive to it! Selfies with the bridge. I did this during the race too. 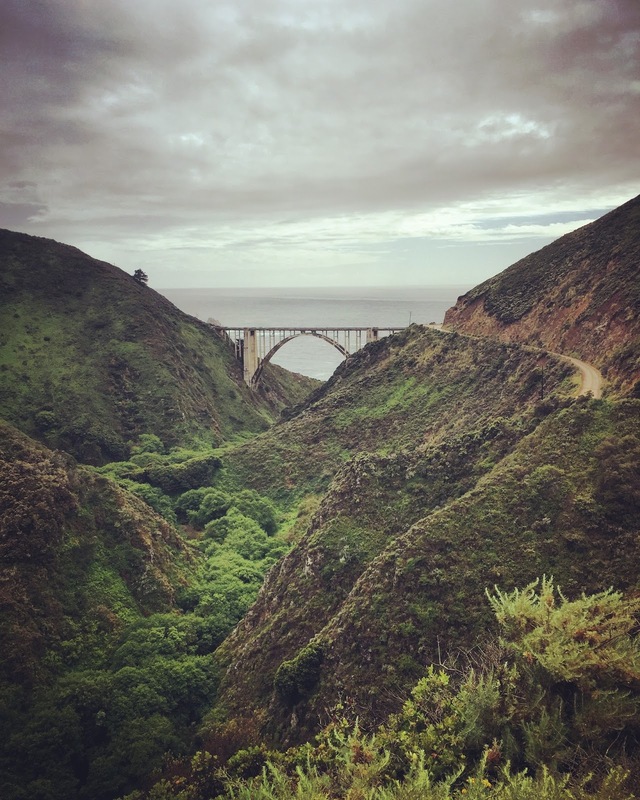 Bixby Bridge. This side road had a sign that said not to drive it during the rain. The rain had stopped so I drove up the side of the mountain. 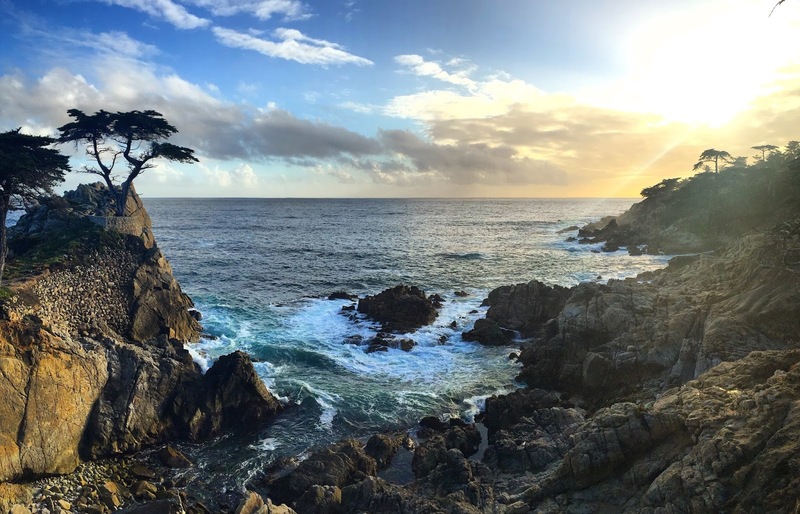 My fav shot of lone cypress. 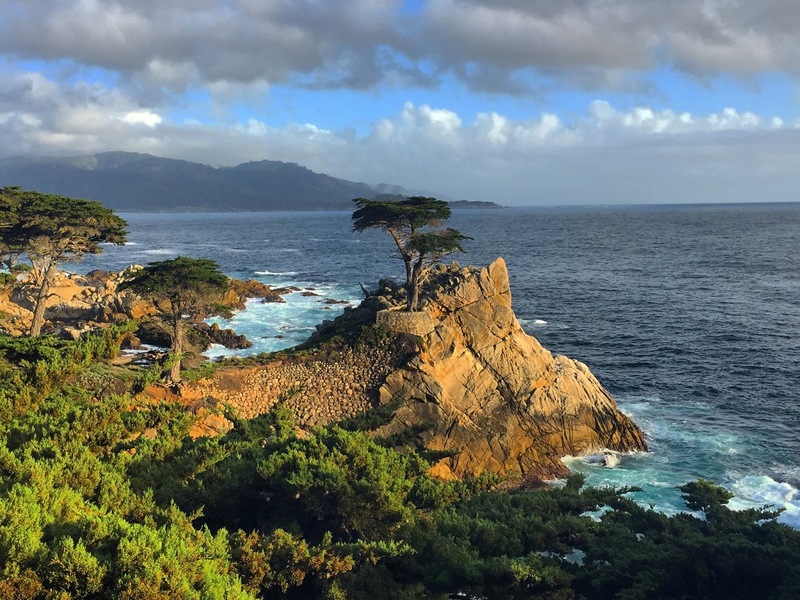 The lone cypress at 17 mile drive, Pebble Beach. 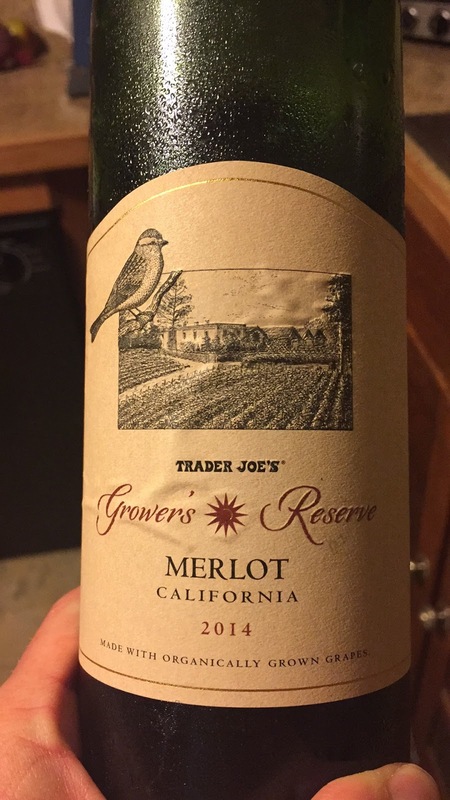 Some organic wine from Trader Joe’s – this one was some of the best Merlot I’ve ever had! I met several people at the race expo. A nice guy from So-Cal took this photo for me. An 80 year old man told me about how he couldn’t do the marathon, but was going to complete the 17 miler race. 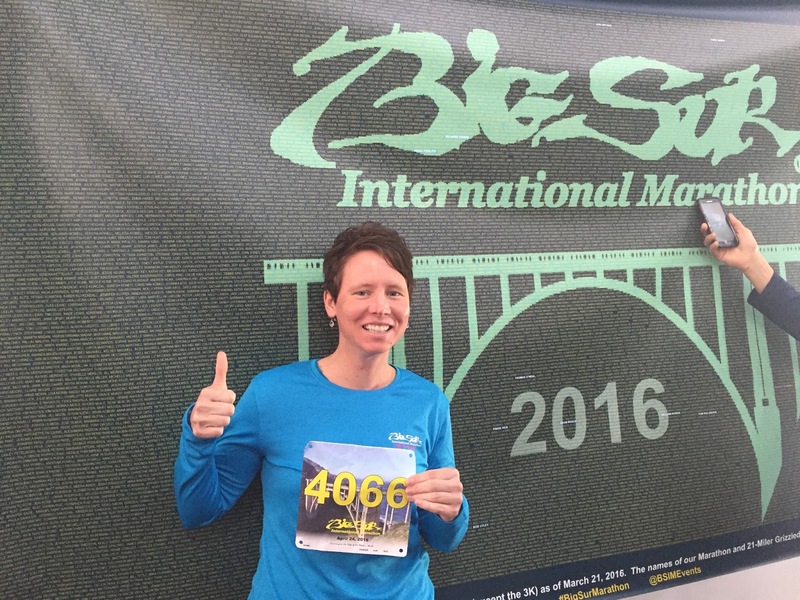 A woman in her 50s told me I picked a really difficult race for my first marathon. Hills? What hills? 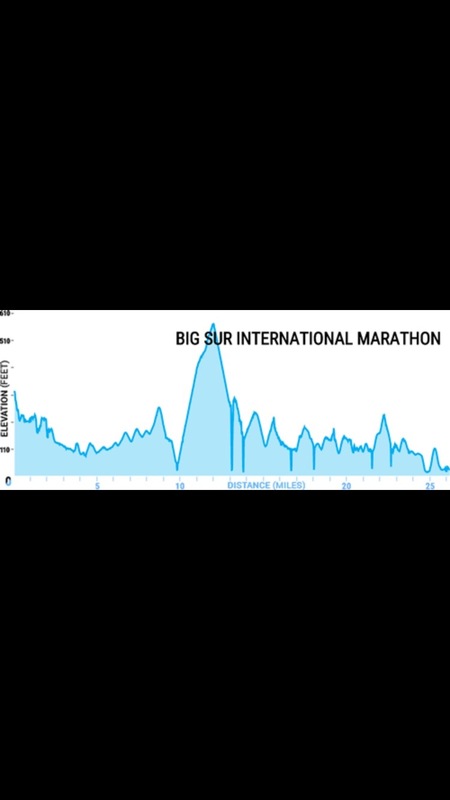 This is how difficult the course is in hills and elevation. 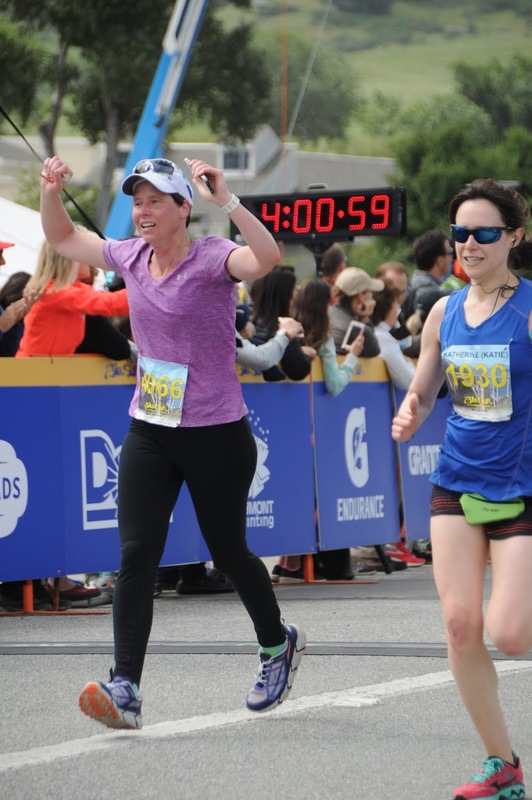 Everyone likes to ask the question, “How was your marathon?” The answer is actually complicated. I could say things like “Great!” or “Fine!” or “Grueling!” but none really live up to the full description of what it was like. Which then means that I, instead, give this really long discourse about my run. I don’t mean to talk about it for a long, but it happens! Ha. 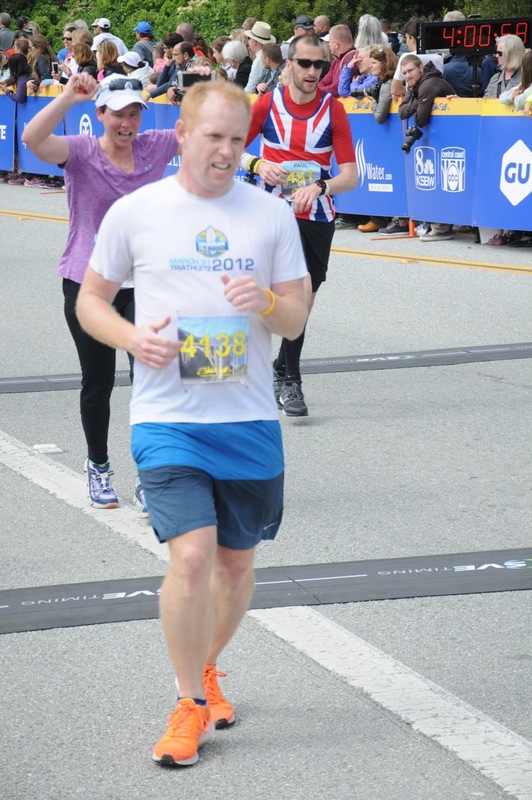 Okay, it’s not that bad, but let me at least tell you the story of my marathon, since you asked. The night before, my cousin, her dad (they both flew in that afternoon), and I went to eat Italian and made sure to fuel properly. I had chicken Marsala sans mushrooms, whipped potatoes, caprese, and a little Pinot Noir. They decided to come pick me up in the morning around 3:15 a.m. (yes you read that correctly) to get to the buses which take you to the race start. Riding a bus in the cold and dark on a winding road wasn’t pleasant. And I got a little motion sick. 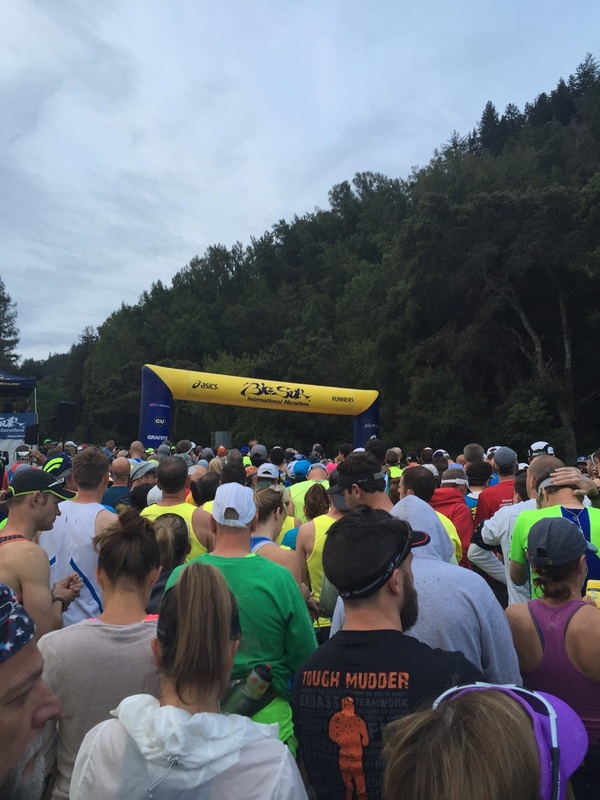 Luckily, we had arrived TWO full hours before the race began so I had time to recover. 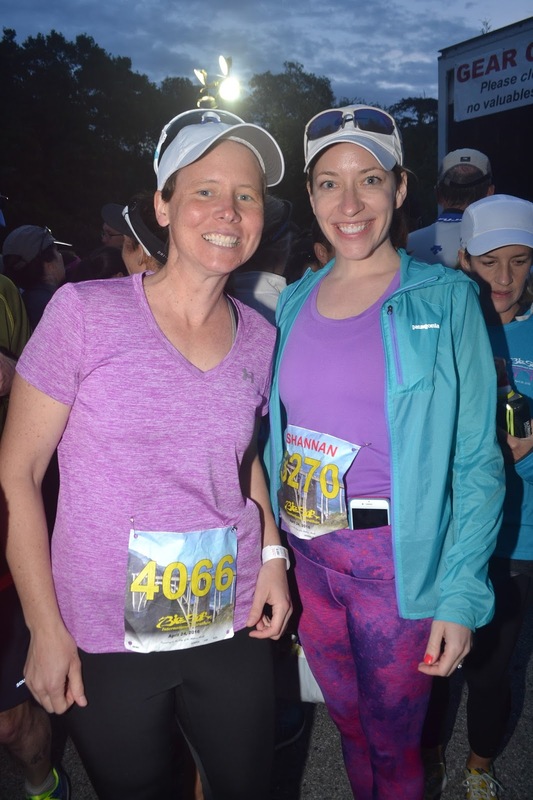 I ate my two Quest bars, drank water and found some hot chocolate to warm up, ate some gels, then hunkered down under my trash bag I brought (weird, but good racing advice thanks to previous runners!). Before a race begins one must also go to the restroom several times (three for me). Then they finally start getting everyone lined up. 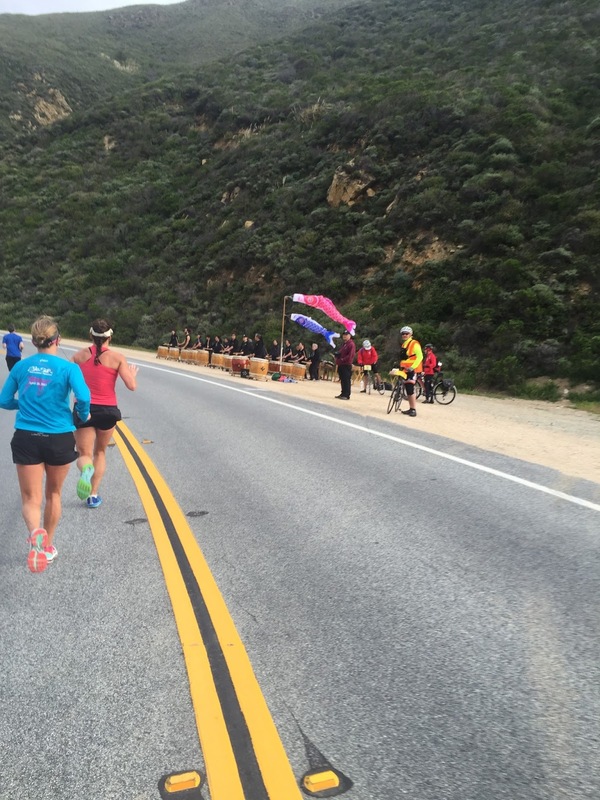 The slower runners were called to go congregate on Hwy 1, followed by wave 2 runners around 10 minutes later, and then the elite runners. With very little room at the start (only 4500 are allowed to run the full due to space at the start), the race started without everyone on the course ready to run. My cousin and I were going to run in wave 2, but with the crowd moving at a snail’s pace, we jumped in wave 1 and started around 25 seconds after the gun went off. Waiting to get on the course to start. 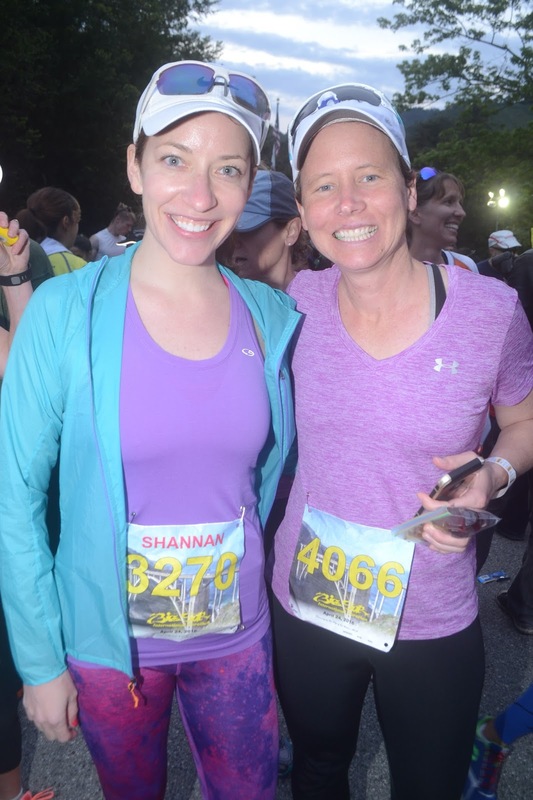 My cousin Shannan and I bright and early! I paid for a lot of the pictures you’re about to see. Might as well put them all in this blog! 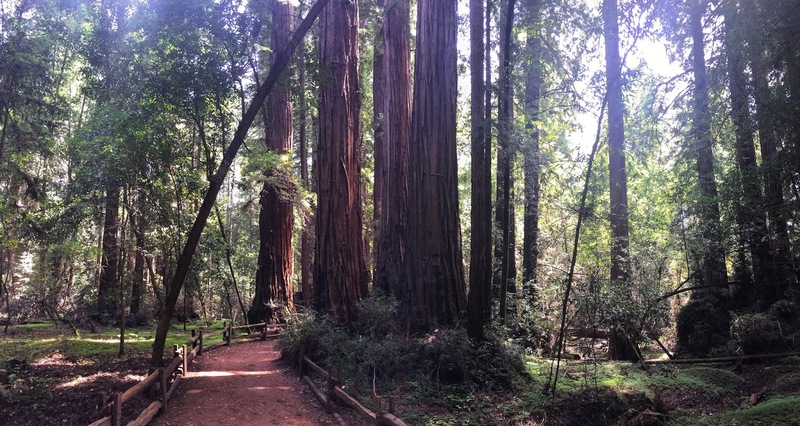 The first five miles are all downhill and through the redwoods. 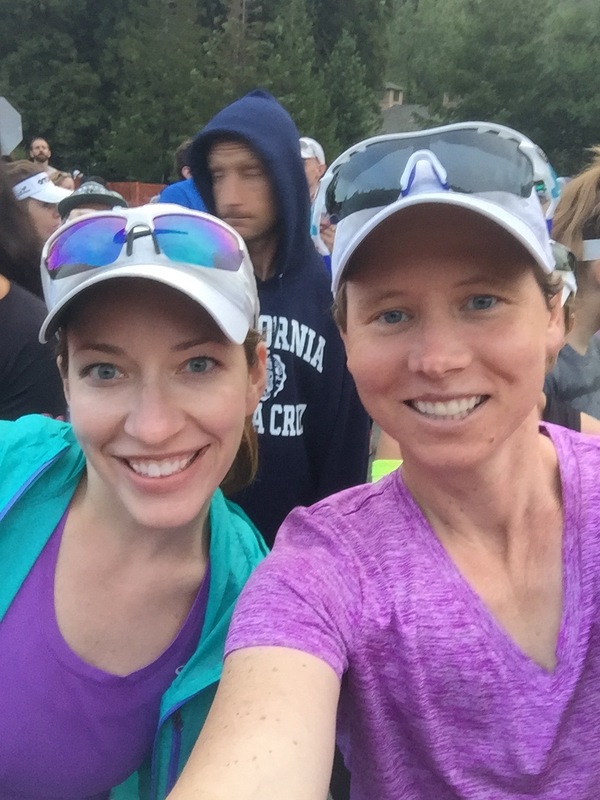 We found a comfortable pace of around 8:11 minute miles (you don’t want to start out too fast and overwork yourself) for these miles, and my 5 mile time was around 41 minutes. It was so serene, quiet, and the scent of the foliage is almost indescribable. I’d never been on such a silent course to start. A few campgrounds had campers out cheering us on. At mile one I heard all of the GPS’s beep, including my own on my phone. I stated out loud to everyone around me including my cousin, “Only 25 more miles!” A guy responded: “25 POINT 2 miles left!” We laughed. I tracked my time and miles on my phone and had a wristband on that told me what times I needed to get at each mile in order to finish at my goal finish time of 4 hours. After mile 5, I had built up around 4 minutes to “spare” and use when I would lose time on the 20 something hills in front of me. The 4 hour goal seemed reasonable at that point. But then they hit. Mile 6. The hills. Oh, and the 20 mile headwinds. 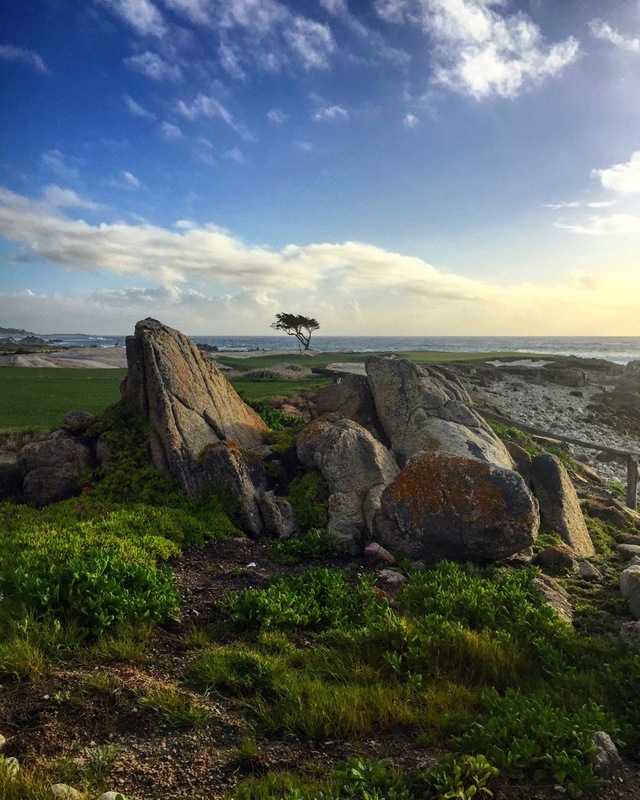 I had read about the headwinds being a possibility on this course, but these winds were unreal that day. I found out later the area was under a wind advisory, too. I even drove the race course a few days prior to prepare myself mentally for the hills. I knew that the course was a slight uphill over these next few miles, and also that the road curved, so my “What the heck are these winds doing!” was countered by the thought of “If I just get around this curve, maybe the winds will change or be gone.” Nope. I rounded the curve, saw the ocean, and saw the waves white-capping. I knew from a vacation in Alaska that white-caps mean a minimum of wind that is blowing at least 14 knots (16 miles). 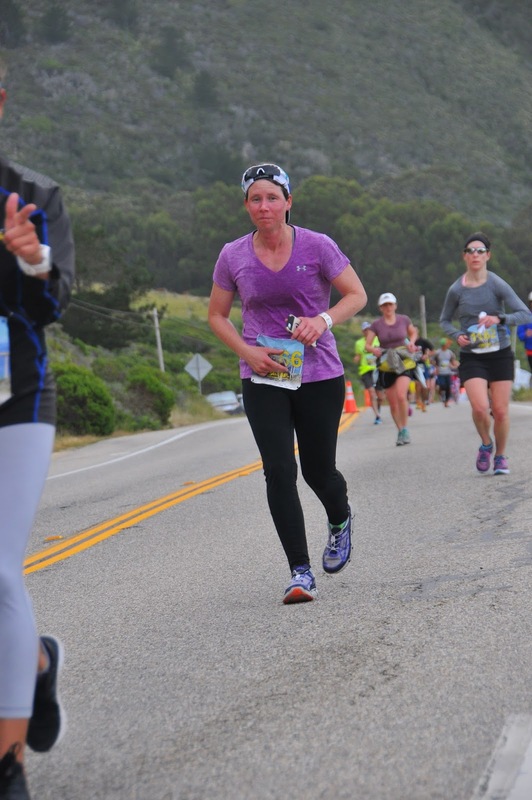 The rest of the race was a crazy combination of hills and wind and Gatorade and water and eating gels. And watching my time. Miles 10-12 were VERY uphill. At the bottom of the hill were some female drummers and around 20 minutes later I made it to the top of what is called Hurricane Point to almost get blown off my feet by the wind. Even starting back downhill there was difficult at first. 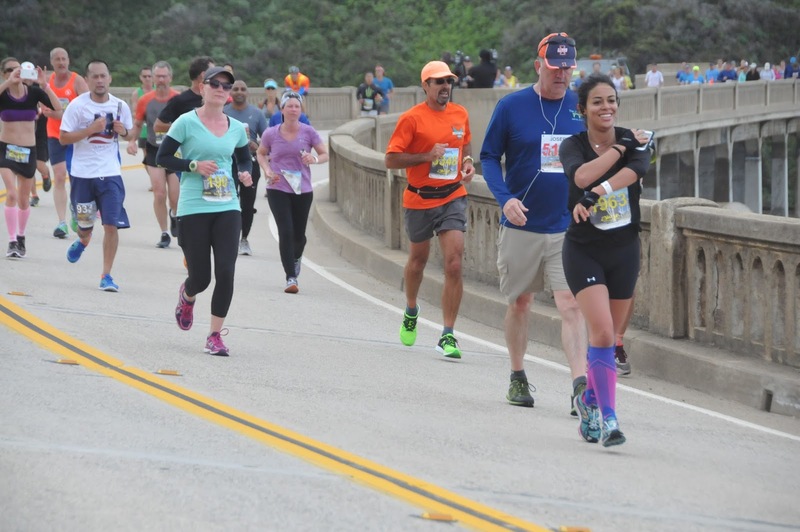 It took some time to gain speed and momentum to get to the Bixby Bridge, which is the half-marathon point. Yes, I stopped to take a selfie (and almost fell over!). 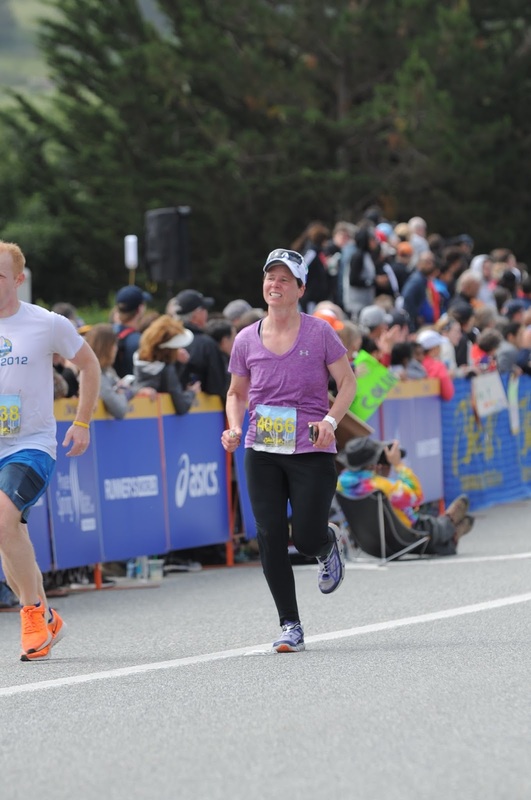 My half-marathon time was around 1:55 and at that point I started to freak out a little bit. Oh my goodness, I actually have a real chance of hitting my 4 hour goal! And then you know the end is near. 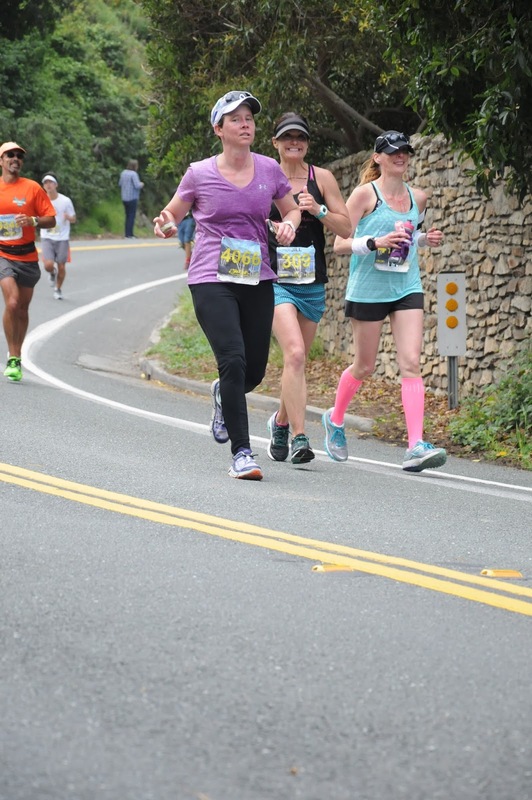 There are fresh strawberries around mile 23, a group of people at the last hill telling you it’s the last hill, and many more spectators and racers from the other races on the course that day. Then you can see the flags near the end and then the end. 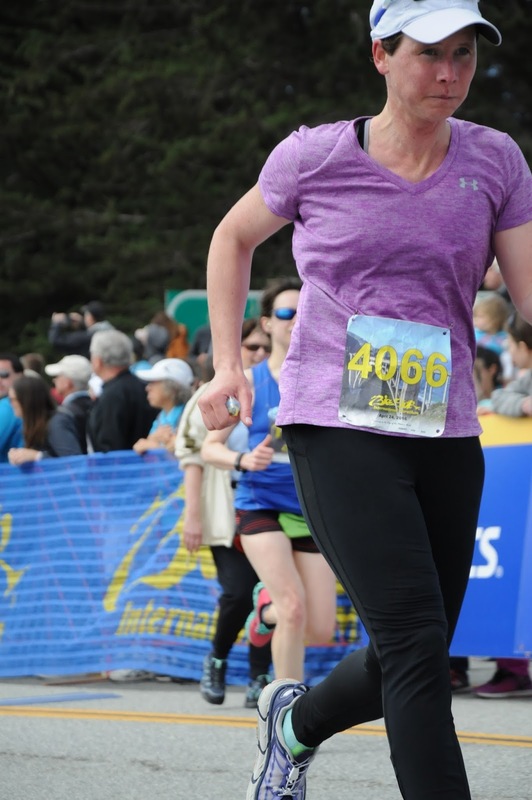 I started to “sprint” as much as a person could at that point to the finish. I saw the clock time read 4:00:58. Since I started the race a little after the gun I knew I’d made my goal for sure. I raised my hands in joy and exhaustion and then burst into tears. I’d done it! A volunteer put a medal around my neck and a gal near me asked if I was okay. I said, “I did it! I did it in 4 hours!” She told me she knew and asked if I needed a hug. I couldn’t speak at that point, but nodded with a yes. 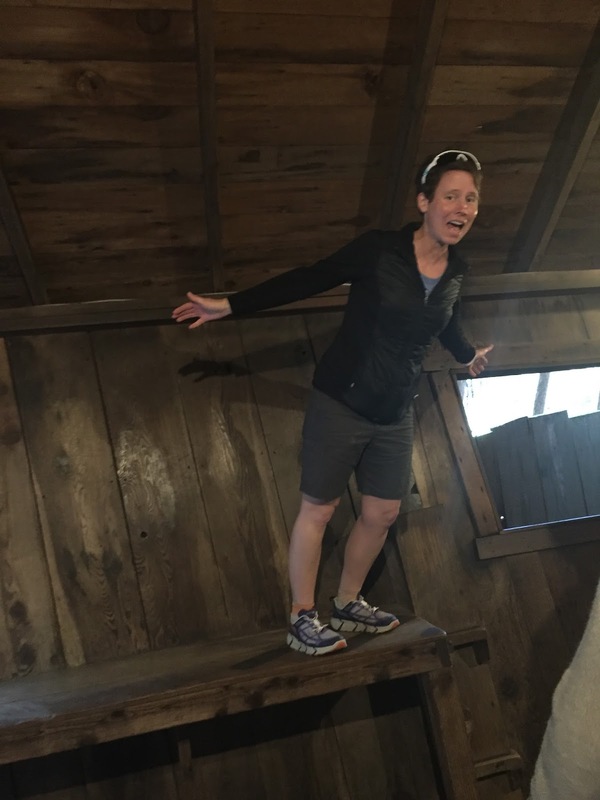 Even though I never hit the wall on the run, didn’t stop even to go to the bathroom, and ran a good time, nothing could prepare me for what was next. The aftermath of the run was miserable. I cramped immediately and could barely walk for three days. 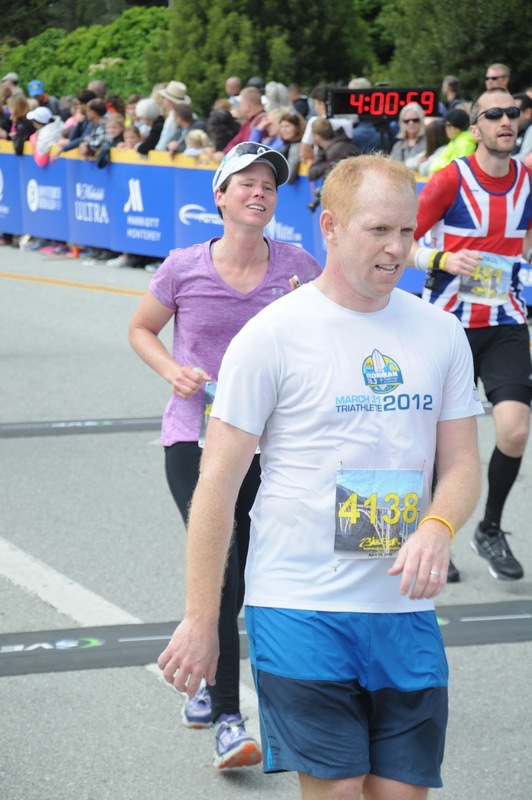 I was unable to run for a week after the race and gained five pounds. Everyone says it’s “water weight” and that it will come right off. We’ll see about that… I took many many baths, too. Am I glad I did this? Absolutely. It was a bucket list milestone for me. Will I do another? I’m not sure. The competitor in me wants to maybe try to qualify for Boston. 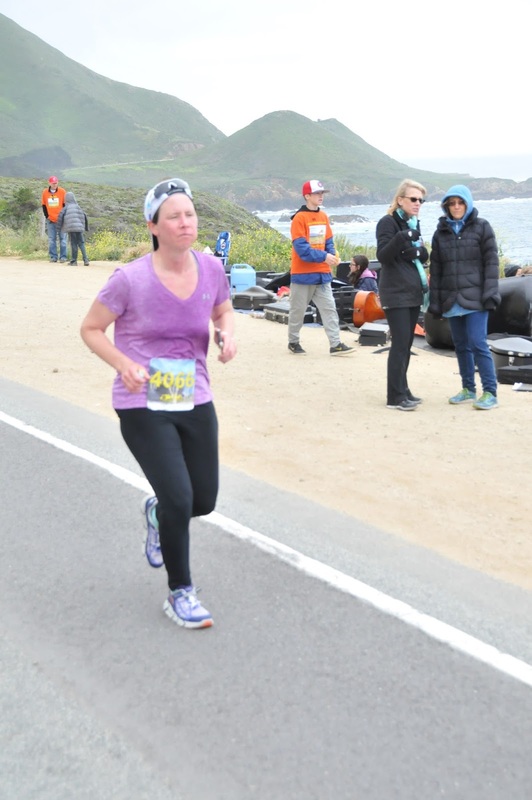 According to a few people at Big Sur, they said my time on a flat course could be up to 30 minutes less than what I achieved there. Overall, I’m glad it’s over for now. 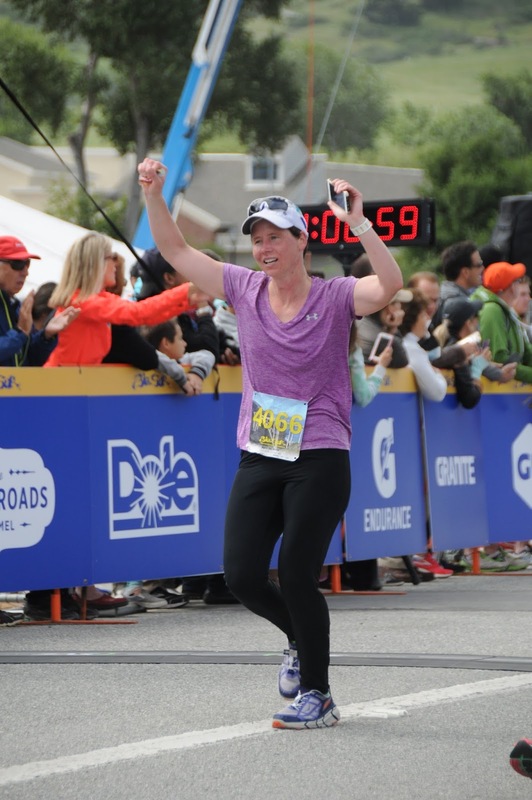 And I’m very grateful to everyone who gave me advice, a few friends who ran with me on my training runs, and for our athletic trainer at school who helped me gauge my body and make adjustments when I was in pain. And you. Thank you for reading this, praying, thinking good thoughts, encouraging me via social media or texts, or anything else you did along the way. You’ve made this even more worthwhile. Enjoy the rest of my photos. I tried to put them in order, but that didn’t happen thanks to some glitches in the system. 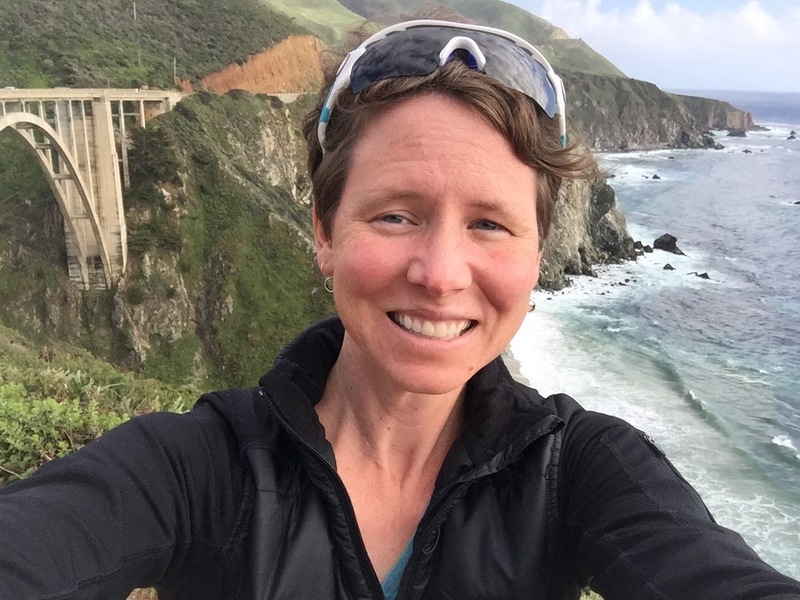 Selfie at the Bixby Bridge. Notice everyone else behind me! Near a stone wall along the way. Running up one of the insane hills. I turned my hat around backwards to keep it from blowing off. On the Bixby Bridge. Half way done! The waves the evening after the race. The winds never did subside. In case you didn’t believe me about the winds. The end. Thanks for reading. Follow my blog! Copy this link, then fill out the form!